In a wild and battle-scarred galaxy, assassins, pirates, smugglers, and cutthroats of every description roam at will, fearing only the professional bounty hunters-amoral adventurers who track down the scum of the universe...for a fee. 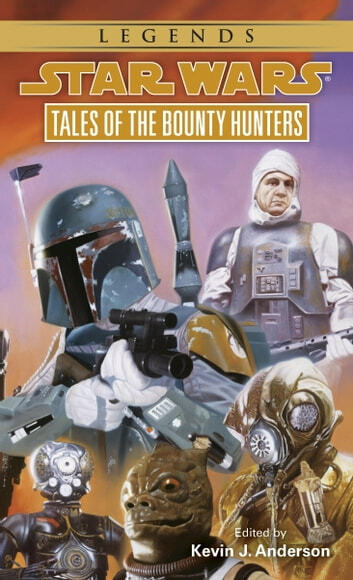 When Darth Vader seeks to strike at the heart of the Rebellion by targeting Han Solo and the Millennium Falcon, he calls upon six of the most successful-and feared-hunters, including the merciless Boba Fett. They all have two things in common: lust for profit and contempt for life... Featuring original stories by Kevin J. Anderson, M. Shayne Bell, Daniel Keys Moran, Kathy Tyers and Dave Wolverton. This is an excellent collection of short stories that explain some of the greatest anti-heroes of the star wars universe. When I first read this collection, they were considered cannon, now they're legends. 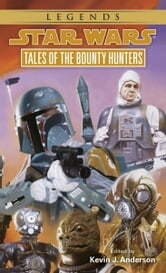 However you look at them, they are worth reading and letting yourself escape for a little while into the lives of the greatest bounty hunters this side of the galaxy.